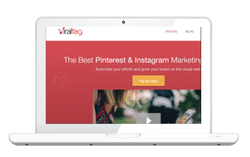 Use ViralTag to Increase Your Visibility On Social Media! Use ViralTag to increase your visibility on Social Media. An excellent Option for Instagram and Pinterest!